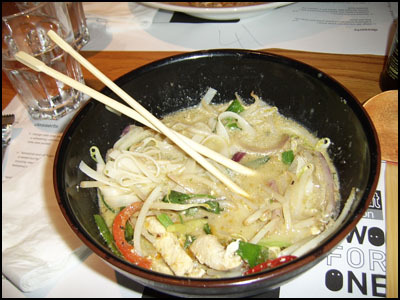 A last picture of a Wagamamas’ dish! You have choice between rice, noodles or soup. It’s supposed to be Japaneese food but there is quite a few sea food. Is that real Jap food? It’s tasty anyway!